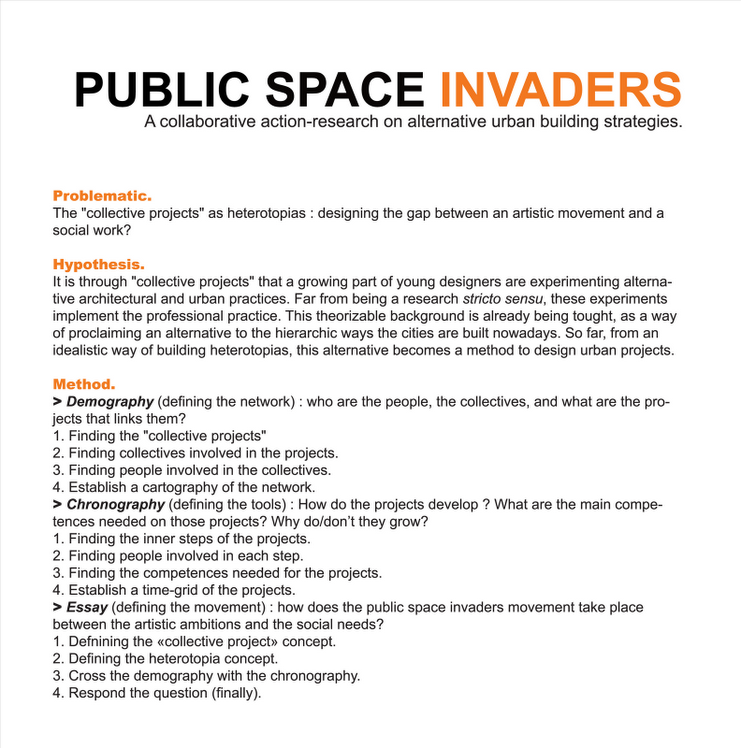 Ourselves being actors in public space, we’ve chosen our own field of interventionists as a research subject. In a collaborative research we try to find out how our collaborative efforts might emerge into heterotopias. 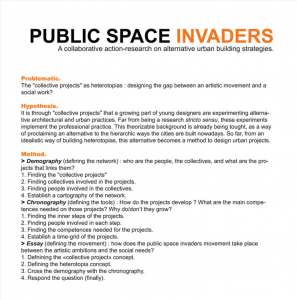 we’re collecting data about the networked structures of public space invaders. which also relates to the context of urban interventions. – might there even be a Heteropolis thinkable?